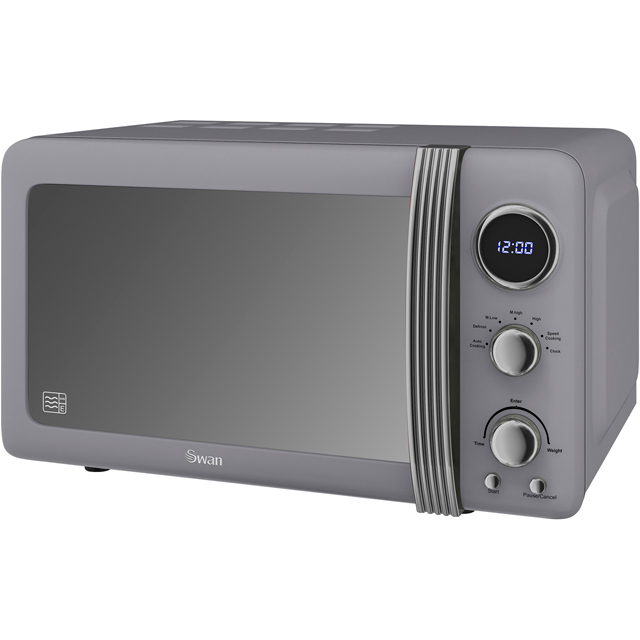 Bursting with eye-catching retro style, this great grey microwave oven from Swan would be a welcome addition to your kitchen. With a 25 litre capacity and 900 Watts of power, it’ll quickly prepare a variety of meals and snacks in any small household. This model has a defrost function which comes in really handy for safely thawing pieces of chicken for dinner, too. There’s also a useful mechanical minute minder, so you’ll always know when your food is ready, and thanks to the simple control dial, it’s easy to select your settings as well. 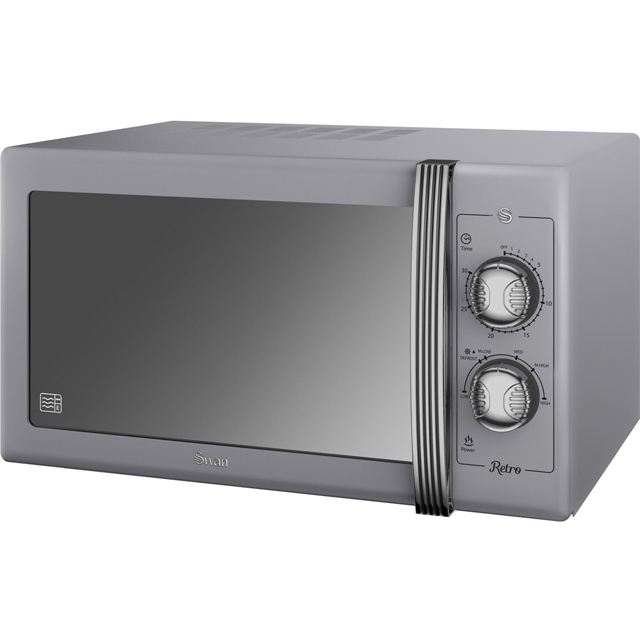 For the price the Microwave is good value. Easy to use and does a good job. Looks good in the Kitchen. The microwave was purchased because of its simplicity and ease of use. Fantastic value for the money My mother is 88 with arthritis so needs a good grip to open the microwave, good sized switches and no complicated electronic timers and start modes. This just ticked all the boxes and she was delighted with the product. Had a problem with the first one very noisey the cutting in and out of the motor was making a banging sound the second one was quieter . 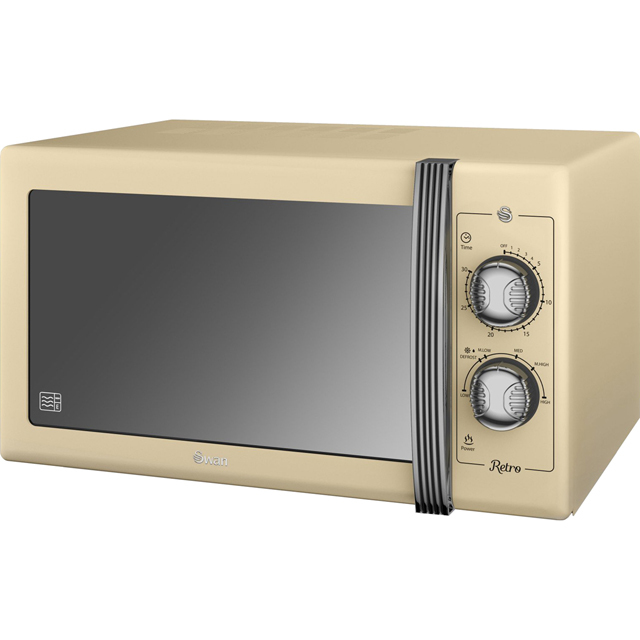 Bought this microwave for a Christmas present, it looks fantastic and is very stylish. Also it is perfect for two/three people, easy to use and fits in perfectly with everything else in the kitchen. What more could you want. 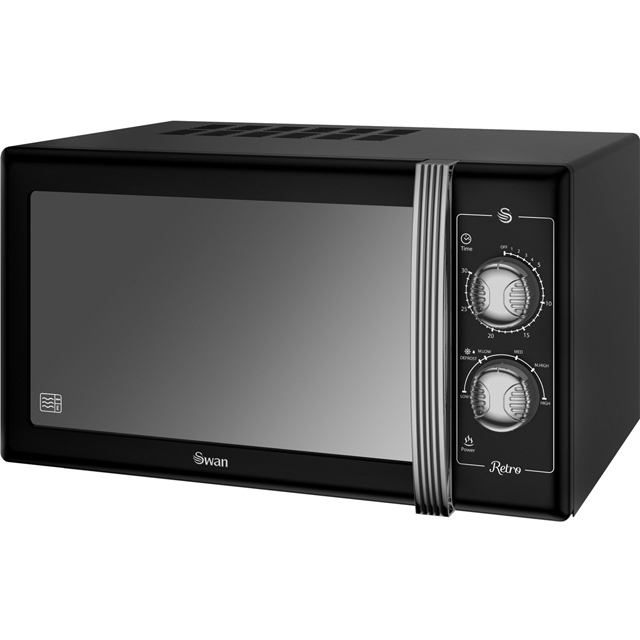 The Swan metro microwave is neat and affordable. It does a great job . 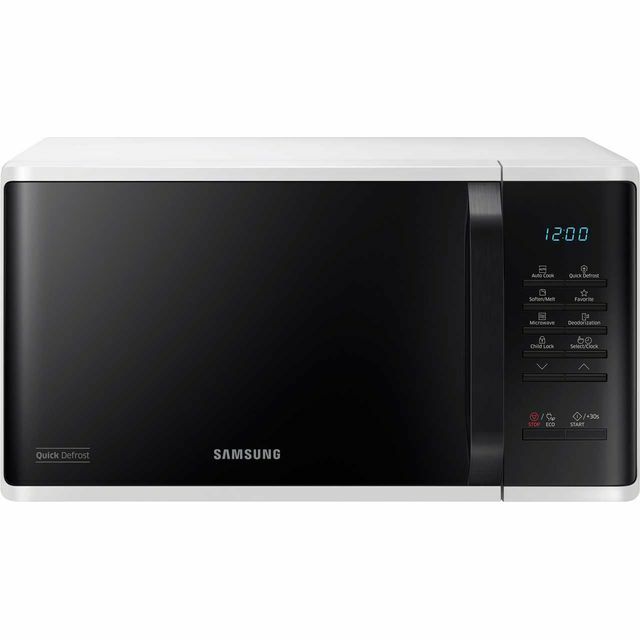 A good priced looking reliable appliance.